Guest Post Series: Faces of Spring, Siri from "Scribbled With Liner"
Hi. I’m Siri of Scribbled With Liner which is mostly about makeup but sometimes my wee furbaby Teyla steals the show with one of her posts often featuring the Northern-Norwegian scenery. We live in a small city placed approximately 69° north, so we get the northern lights, the midnight sun and the tourists coming to see it. I am very excited to do a guest post here on Color Me Loud, because it’s one of my favourite blogs to read, and Sara’s been one of the people who, through their blogs, inspired me to do my own – which isn’t getting too much attention at the moment due to a dissertation I’m working on, but there are a few posts on there that I’m quite pleased with, so feel free to visit. Sara suggested that we do a post with products we’re loving, perhaps featuring a regional trend. An idea I took to heart and started pondering. She mentioned a German trend of wearing foundations three shades too dark, one I can relate to, as that’s more often than not the case up here as well, even amongst the elderly who will pop by the shop requesting the sales assistant (in a lot of cases myself) to find them a foundation, but balk at my suggestions insisting the shades are too pale. They want it to bring more colour to their faces. 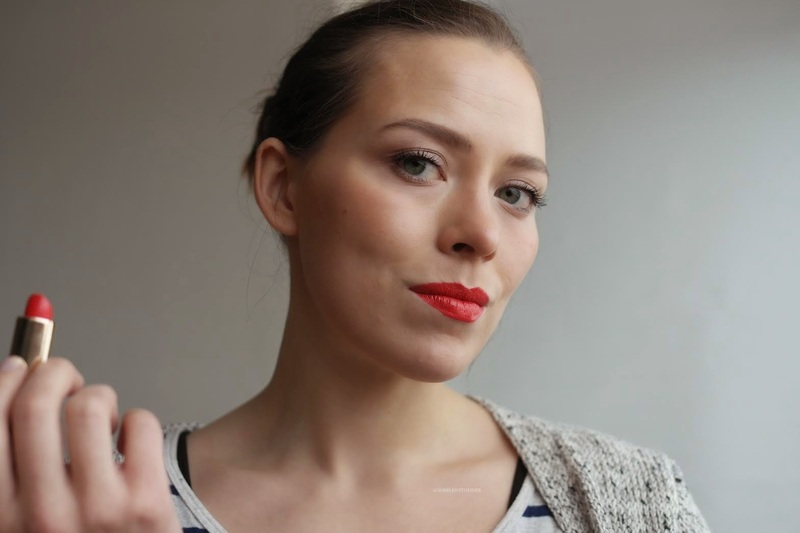 More prevalent, thankfully, is the trend of going for the simplest makeup possible. BB and CC creams were a godsend to many a Norwegian woman as they offer a bit of coverage and simplicity. Also, a lot of the foundations of recent years offer up a quite natural finish and are very easy to apply which goes down very well with the leading culture. Basically, lightweight, simple, and toss-into-your-bag-stuff that’ll make us look good while going through our days – the trending lifestyle at the moment seems to be very active with frequent visits to the gym, skiing and running in between work and family life. 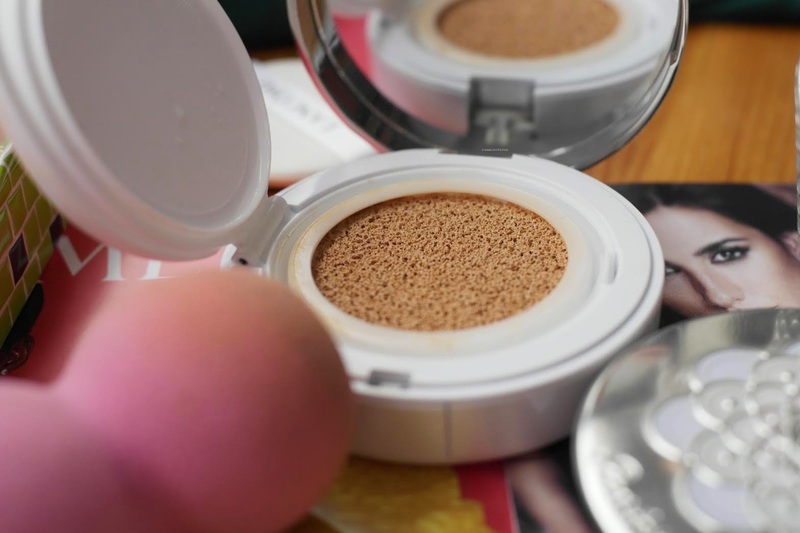 So obviously, you have to go quickly about whatever you put on your face, it has to be versatile, and if you’re not a working mom you’d best have a contouring product stuffed into your gym bag as well. I was going to go with the sun kissed look that is, somewhat ironic considering the amount of sun we’re getting, and use Guerlain’s Joli Teint foundation, but I went for a run first, and my flushed face called for something more cooling, so instead I opted for another about-to-become-a-staple foundation, namely Lancôme’s Miracle Cushion. Because I am a makeup junkie, unlike most Norwegians I have several primers, and going by specific needs that day, I’ll switch it up or do one in my t-zone and one for the rest of my face. A lot of people however will have slapped on their BB cream, bronzer and mascara by now and be done with. I’ll add a bit of concealer (Clarins Instant Concealer is one of my faves due to buildable coverage) and powder to set. I like me a bit of glow, but I also want my powder products to go on evenly. I’m fussy like that. My favourite product for everyday shading and sculpting – I’m a bit over the kontour like Kim K kind of thing – is Benefit’s Hoola which I’ll apply to the sides of my nose, along my jaw, underneath my cheekbones and at my temples. A more recent staple is Guerlain’s newly launched Jolie Teint powder duo in 03. I could, of course, stop after the Hoola, but the Joli Teint adds a bit more warmth and subtle flush that lends a bit more glow to my face. Brows are getting a lot of attention these days, my personal favourite being Anastasia’s Dip Brow pomade, often combined with whatever brow pencil I have on hand. Bonus points goes to the Dip Brow for functioning as a liner as well if I want to wear another trend – the feline flick. Eyes are kept simple, with Nars’ Dual-Intensity eyeshadow in Himalia applied on top of Urban Decay Primer Potion in Eden (one of my can’t-live-without- products) all over the moving lid and blended into the crease. And from here it’s all a matter of whether one has time for doing eyeliner before applying those mandatory coatings of mascara, or which lipstick or gloss you’re wearing. I love that red lipstick is no longer reserved for old aunties, but is being embraced by women of all ages. Here I’m wearing Esteé Lauder Pure Color Envy Sculpting Lipstick in Impassioned. So that’s the reigning Norwegian trend complicated by yours truly. Feel free to stop by the blog, or have a look around my Instagram. Hai haaai Siri! Lovely seeing you here and having you explain the Norwegian makeup trends! It seems like most people really love the Lancome cushion, but it SO did not work for me! I'm loving Impassioned on you big time as well. Have you tried the Pure Color Envy Shines? I'm a fan! It was a bit strange, because I'm not really that "Norwegian" in many ways. Makeupwise I do a lot more than is the norm - A lot more steps, a lot more dramatic effects, though with a lot less product. Is it the finish that puts you off it? Because it works well on a normal to dry skin, but I can imagine someone who leans more oily might need something else. Oh, and I'm not a fan of the sponge that came with it. I use a brush or the pink sponge that can be seen in the corner. The testers hadn't arrived when I set up the Pure Color Envy Shines before the holidays, but I'm hoping they'll be there when I go into work tomorrow. I hope I'll hate them, because I've already got my heart set on a couple of new Guerlain pieces that are just around the corner. I'm stil not sure, how to feel about the cushion foundations as well, that's why I haven't tried any so far. I love your look, I wear Himalia with a bolder lip and a simple face quite often myself :). And I adore the term "Kontour"....LOLOLOL! Ich habe leider mein Deutsch vergessen. I really like the lancome one for it's ease of use, light coverage and cooling effect. I work as a sales assistant in a store much like Douglas, carrying several brands, and shortly after the arrival of the cushions a colleague from another job popped by and I did a makeover using that. She hardly wears any makeup, but she loved it. It's really good for those who don't need much coverage, don't want much coverage and want something that's easy to use. If you want something mattifying, medium to high coverage or simply prefer a creamy texture, this one isn't for you. I tend to rotate my foundations a lot, too, but my very fave - and this is coming from someone who's tried all the hyped ones - and the only one I've used a bottle of is Guerlain's Tenue de Perfection. While not for summer, or even spring in Germany, except for maybe in the evening, it's amazing! In Norwegian they actually call it konturering (but I swear it wasn't autocorrect or habit). Kim would be so proud. Hi Siri, I just wanted to say that your picture is really well done. If you took it yourself, then I am even more impressed! Aww, but your German is still great! How do you apply the Lancome foundation? do you stipple your brush in the pan or dap it onto your face with the finger? Mhh, nah.. My skin is too unbalanced for a light coverage, but a medium one is just fine! My go to's are: Ellis Faas and Armani Lasting Silk since my slightly oily skin is getting better after I quit smoking and start using Paula's Choice stuff! Hi Siri, you look gorgeous!!! Love that EL Impassioned too! And your contouring is immaculate! Danke. I either use a stippling brush or a denser one like Urban Decay's Optical Blurring, or one from Real Techniques. Truth be told, I don't think there's much of a difference in results with these brushes and that foundation because it's so very fluid. When I'm in a hurry, though, I use the flat side of the pink sponge that you see in the top picture. Mine costs about €7-8 and is from KICKS' (a store much like Douglas, perhaps with a smaller selection) private label, which only goes to show that not everything has to cost a fortune. Haha, that's what it reminds me of. I couldn't put my finger on it, but yeah! 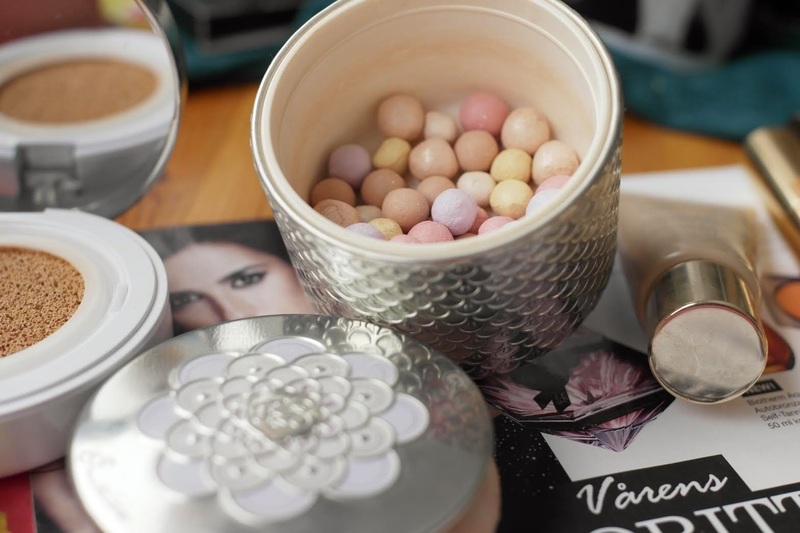 That's what's been nagging at me since I first heard of this cushion revolution in makeup! You'll have to drop me a note if you do (there are some flights going directly between places in Spain and Tromsø, and also London and Tromsø which costs a lot less than going by Oslo) . In the meantime, keep a lookout over the summer for Teyla's posts. She likes to report from hiking trips and walks around the area, but for the skiing we've kept it to instagram. I'm glad you like it. The Pure Color Sculpting Envys are brill. Hoping to try the Shine lne today at work. Then I think I've succeeded in conveying the Norwegian look :) Glad you like it! Thank you. I remember stepping into a store before contouring was all the rage, looking for a palette (we eventually got it last year), and the SA didn't quite get what I was after, so in the end I used Urban Decay's tease. Having had that to practice with for a couple of years makes Hoola a dream to work with. Incidentally, I came over an article about an Asian manner of contouring that was supposed to be different from the typical Western manner, as the focus is around the edges of the face. Now I'm confused, because part of that is what I've been doing myself for years. Contouring only recently gained popularity in Singapore too, and I've had a high profile local makeup artist tell me that we really only need to highlight and forget about contouring. So obviously there is still quite a bit to catch up here. But i've seen a chart somewhere recently about different contouring methods for different face shapes. We have fairly similar shapes i think - oval? - and we're "supposed" to contour under the cheek bones in a triangular pattern upwards towards the ear (but not too high to make the face appear even longer), and under the jaw line just at the sides not all the way down towards the chin (just to create a sharper jawline). Does that make sense? You look beautiful. - And I do love the Clarins Concealer, too. It's wonderful and not that drying. Love it for the inner side of the eye for Concealing shadows there. 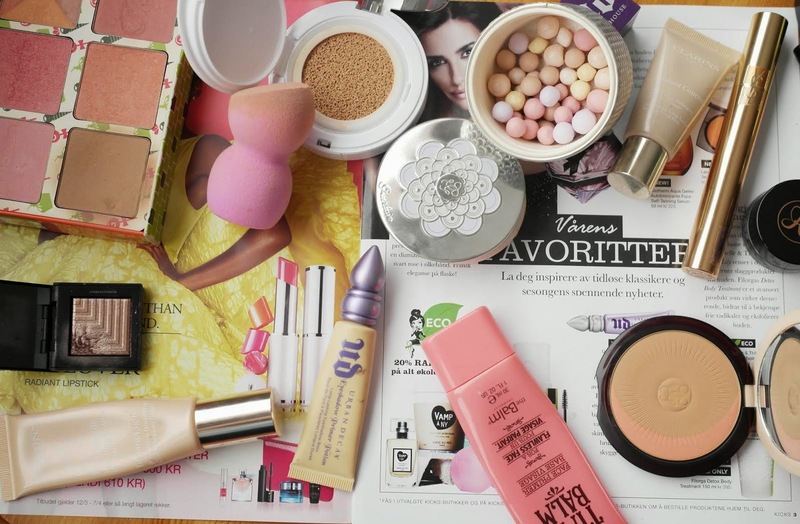 the favorites are great - I'd love to try the Lancôme Cushion Foundation. Unfortunately it's too dark for me ... but there are alternatives. I got one from Korea some time ago. - Loved reading your article! Interesting to get to know some of the people around Sara sharing our interests! Have a nice weekend! Sorry, I think it was a Korean manner of contouring. Had to look it up, and it was over on refinery29. They're obsessed with Korean makeup. It creates a rounder shape that's supposed to make you look younger, but I use a lot of the same theory, with the focus being on a glowing middle and diffusing the perimeter. Yeah, we're lucky in that sense. Carve out (or further enhance) cheekbones, slim or straighten the nose and define the jawline. I like to take that last one all the way along the chin starting almost at the ear and cross the "lines" under my chin before using a light touch and connect them to the lines under my cheekbones. Kind of hard to explain, but it slims my face. I also like to take some to my temples and along my hairline. Thank you. It's just one of those produts I have second thoughts about recommending to people when I'm working. I do wish they'd come out with more shedes, even though the once they've got are quite forgiving, they just won't do for my friends with fair skin. Beautiful! Love the contouring and also how the red lipstick looks on you. A+!